Summer is right around the corner, and what better way to use your summer break then honing your culinary skills and expanding your food expertise at the Natural Gourmet Institute. At NGI you will learn healthful cooking techniques and become immersed in the vibrant and inspiring New York City food scene. Whether you have a few days or a few weeks to spend in NYC, NGI has recreational classes and certificate programs fit for any agenda. All of NGI’s courses are rooted in founder Dr. Annemarie Colbin’s Seven Principles of Food Selection, which state that food should be: whole, seasonal, local, traditional, balanced, fresh and delicious. Choose from programs such as Food Therapy, Culinary Nutrition, Vegan Desserts Workshop, and much more. Plus, NGI has put together this exciting NYC itinerary for summer class attendees that include the hottest food stops you won’t want to miss. Class participates will also receive discounts to local healthy restaurants, and more. NGI is the perfect summer getaway for healthy food enthusiasts! NGI is offering an amazing promo just for Crunchy Radish readers. 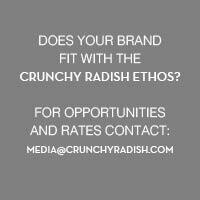 Enter CrunchyRadishSummer at check out for 10% off a summer course. Promo code is limited to one use per customer, applicable only to the courses listed in the NGI Summer in NYC promotion (see courses below). Sign up HERE.